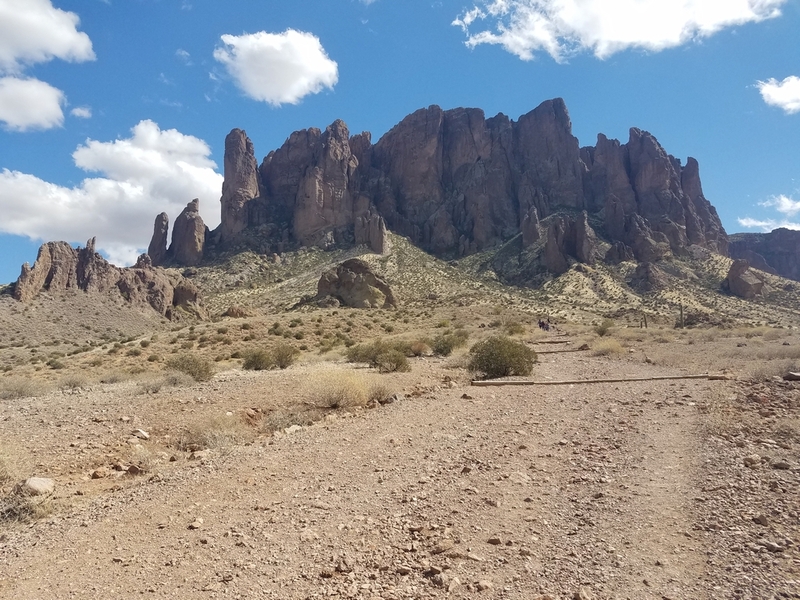 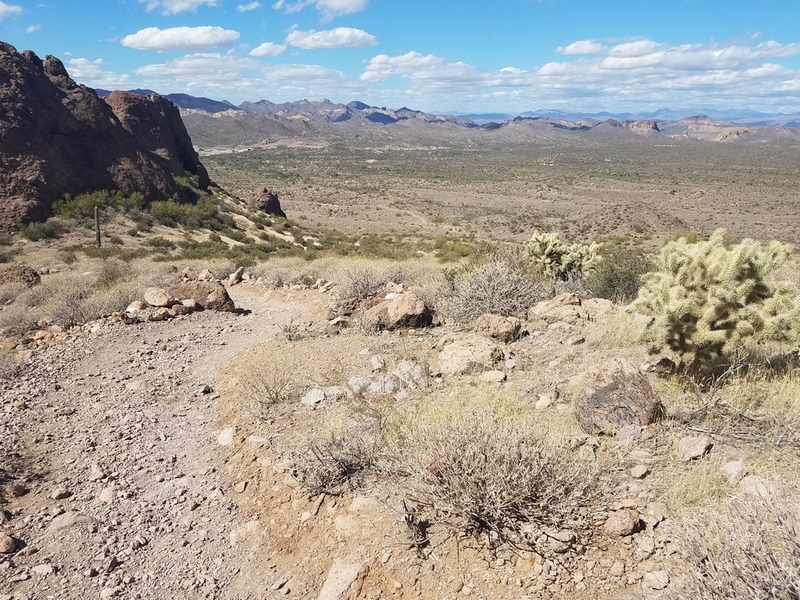 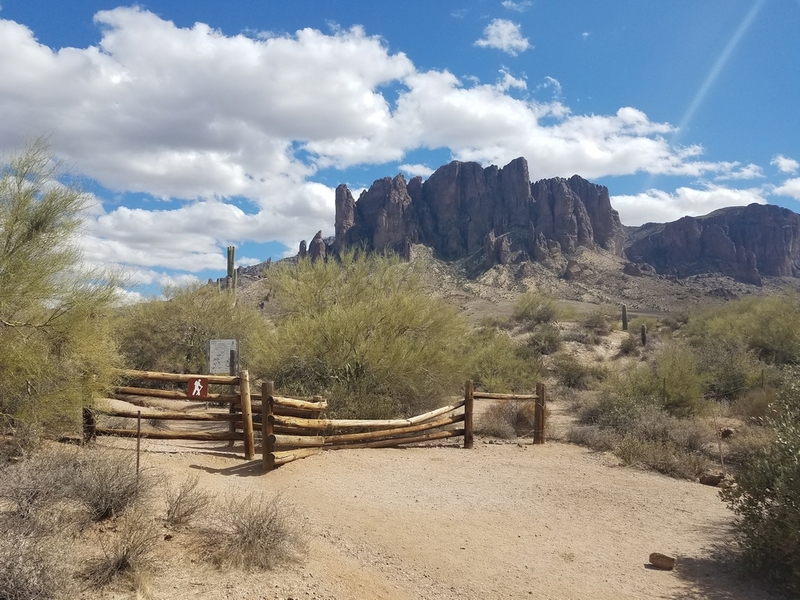 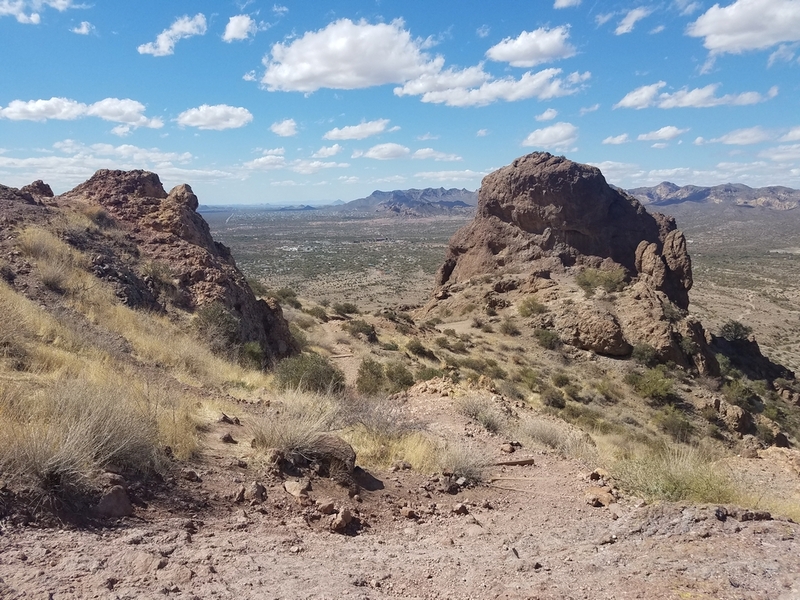 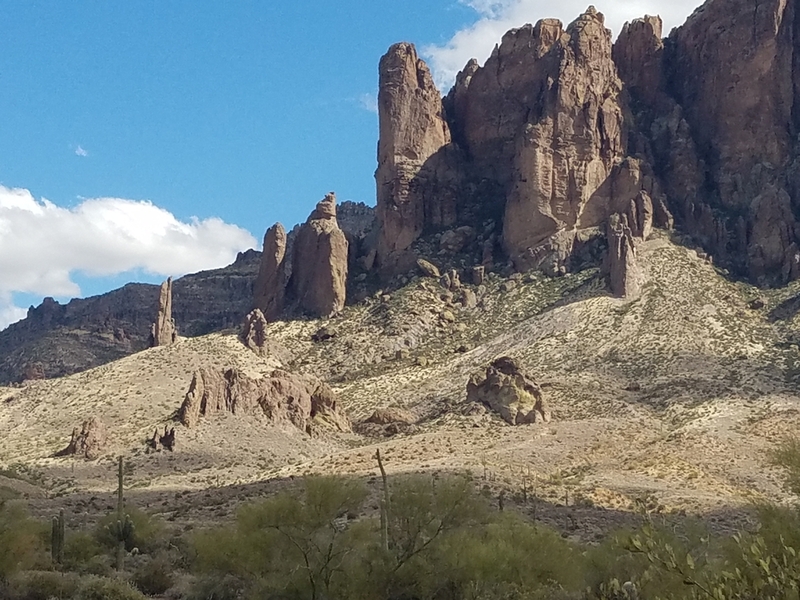 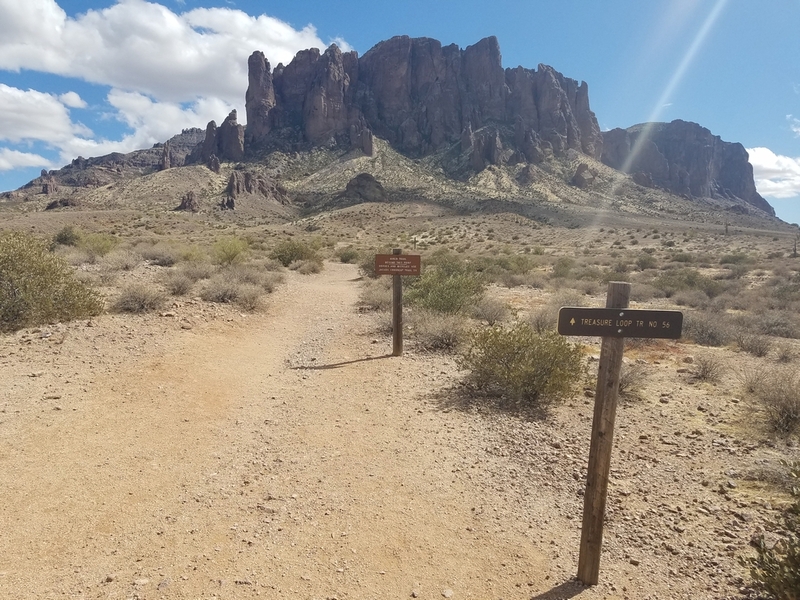 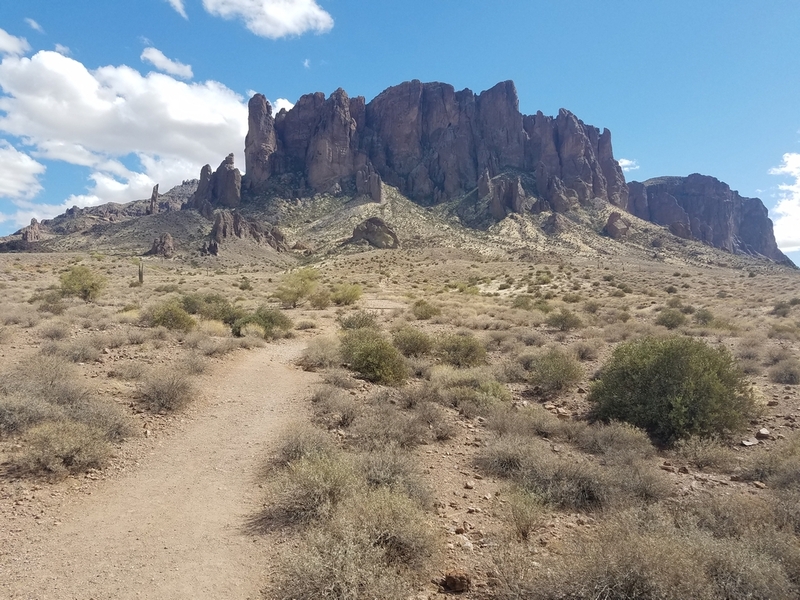 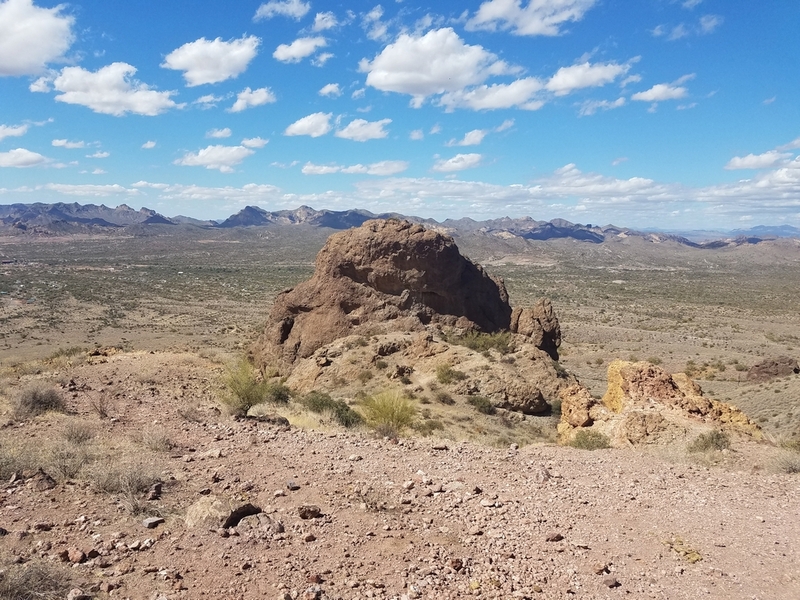 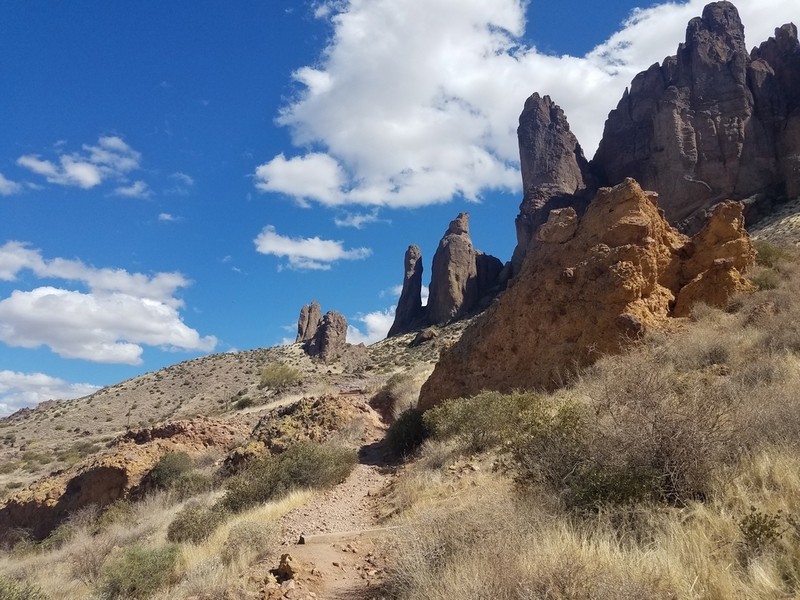 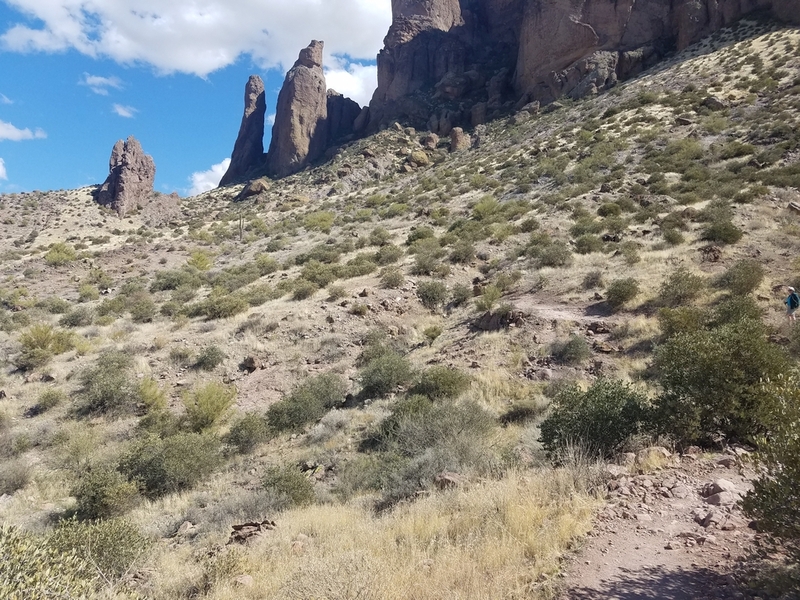 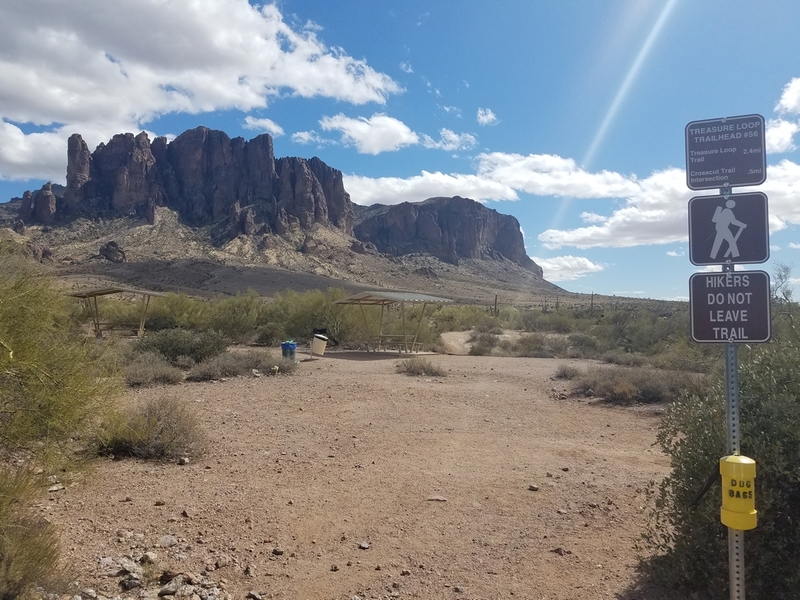 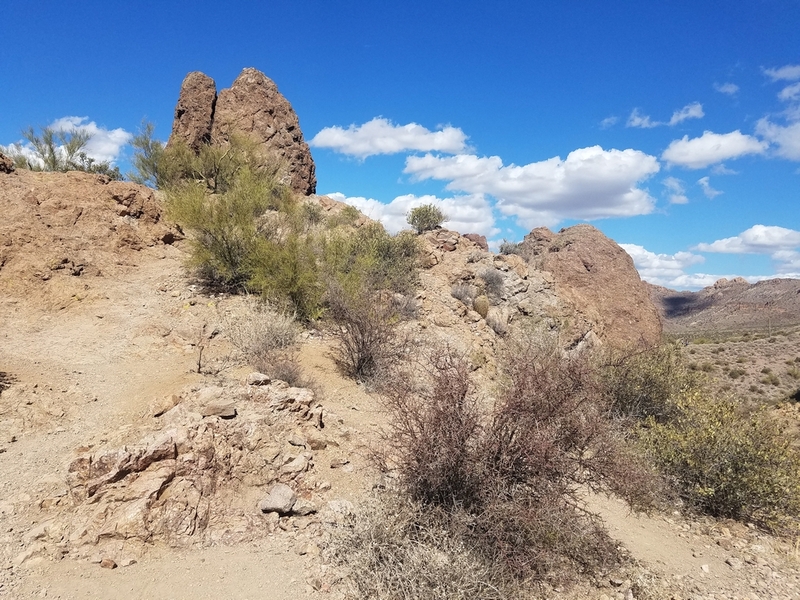 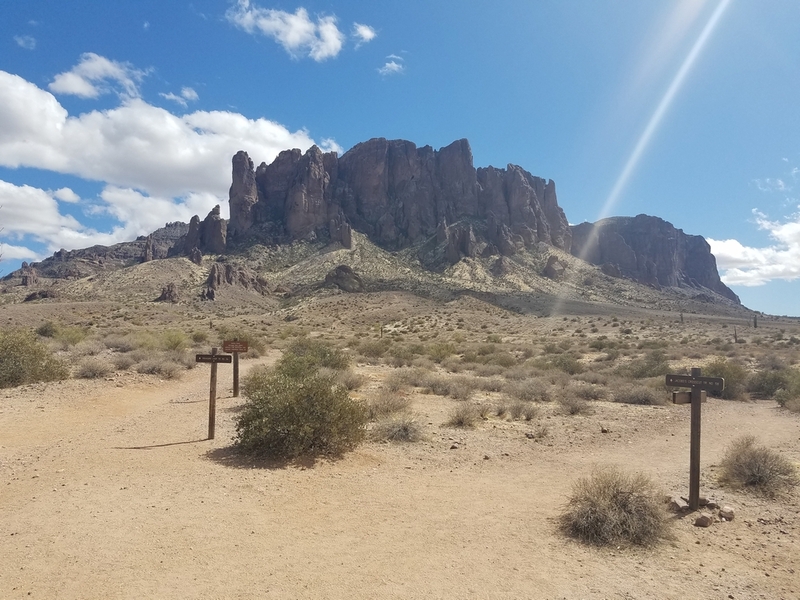 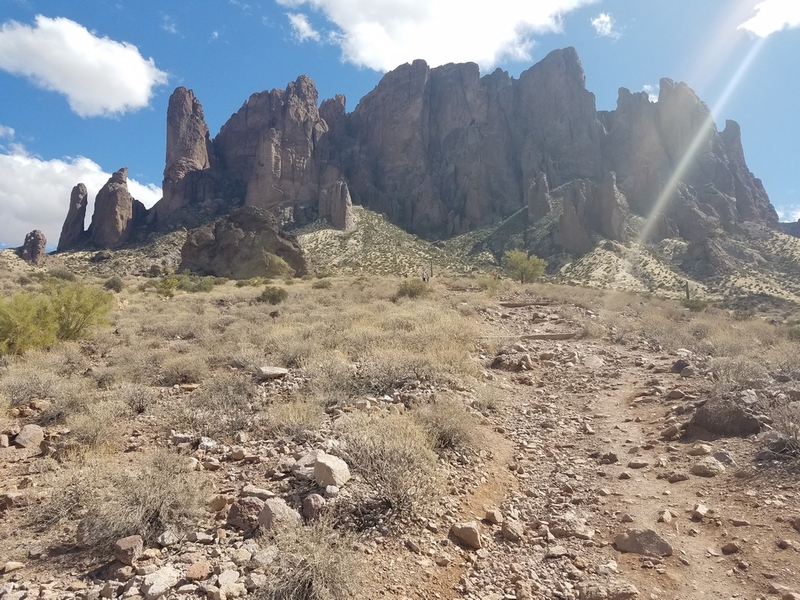 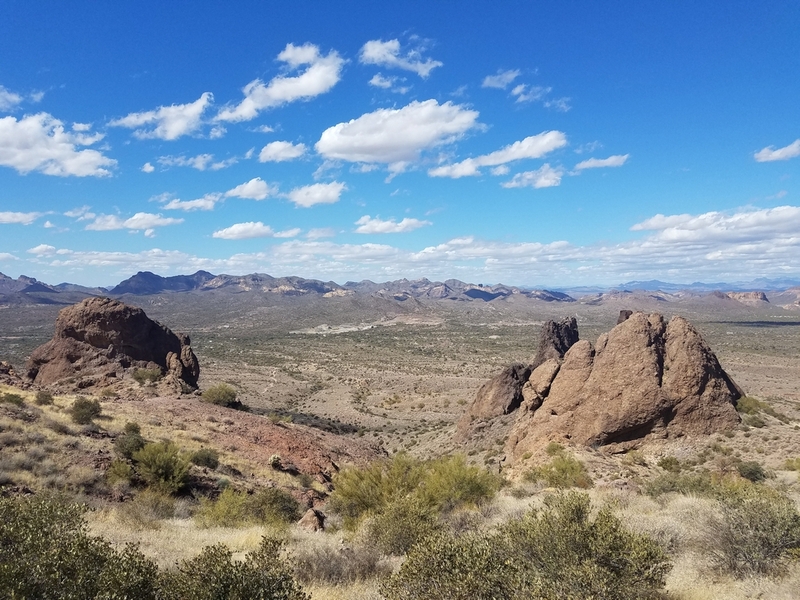 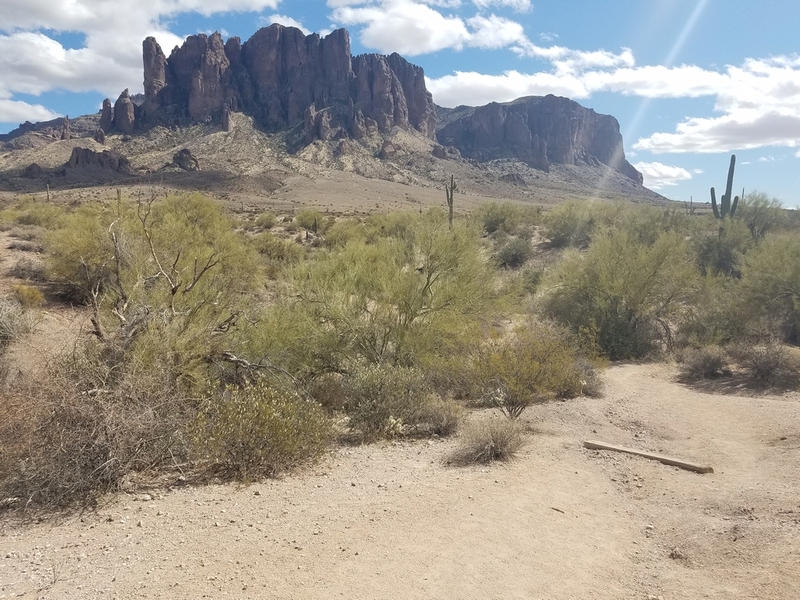 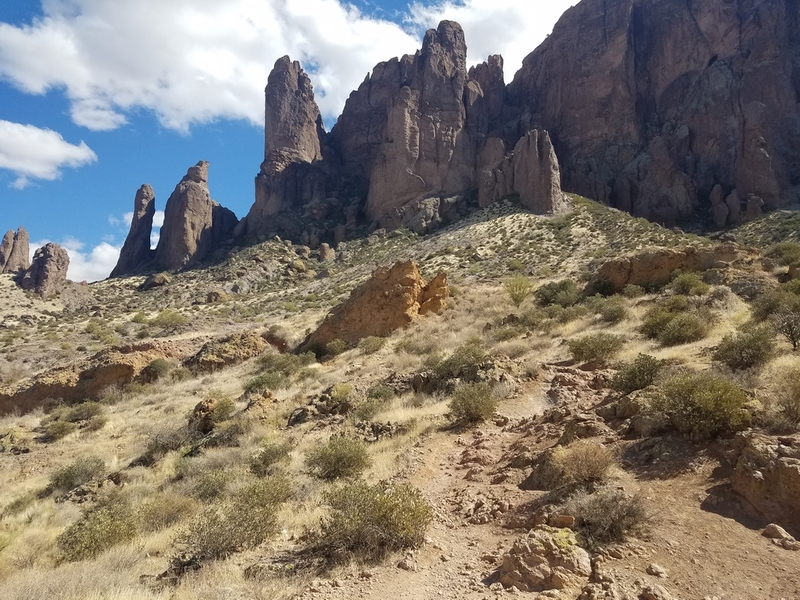 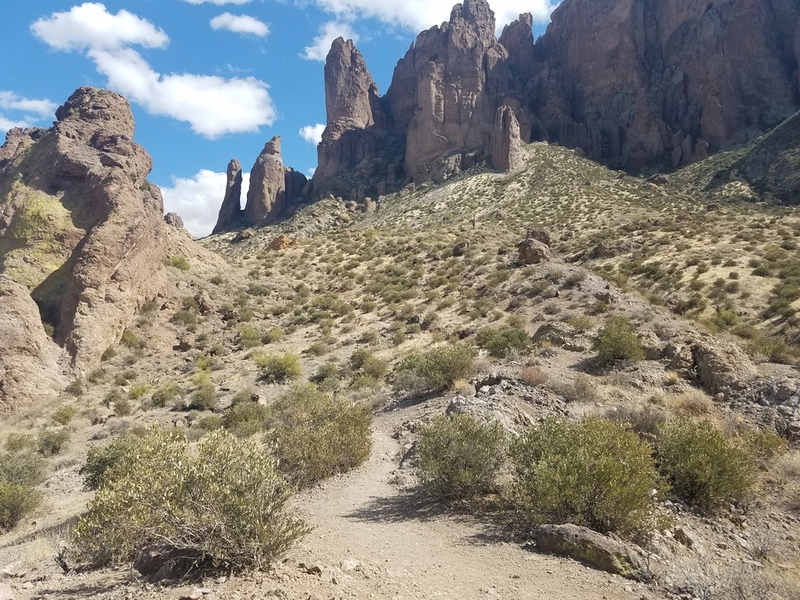 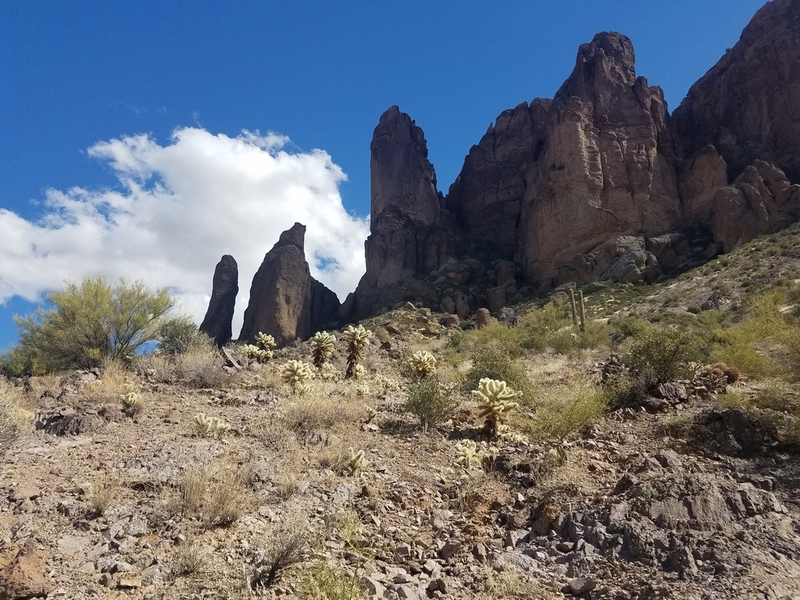 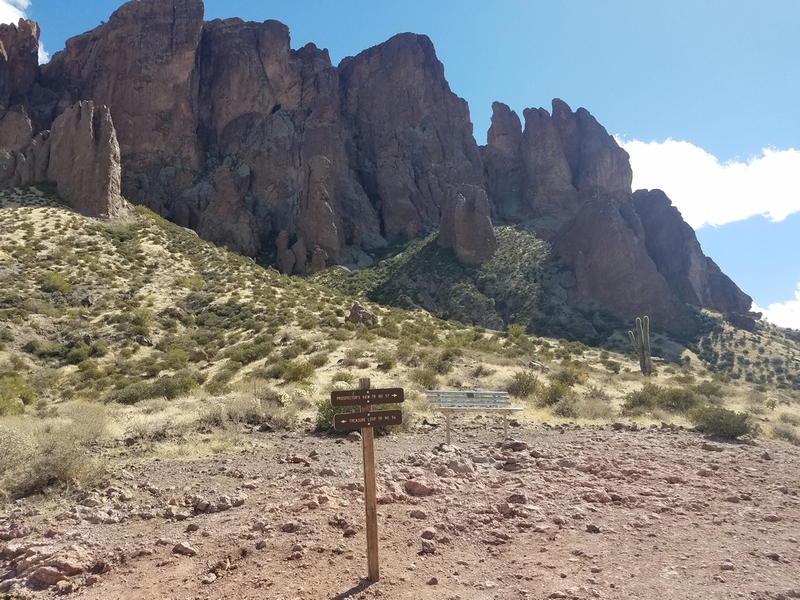 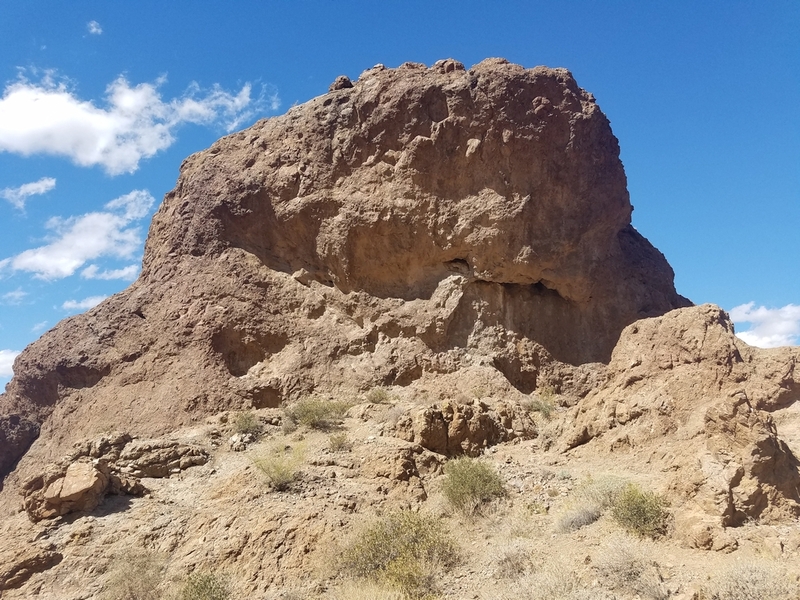 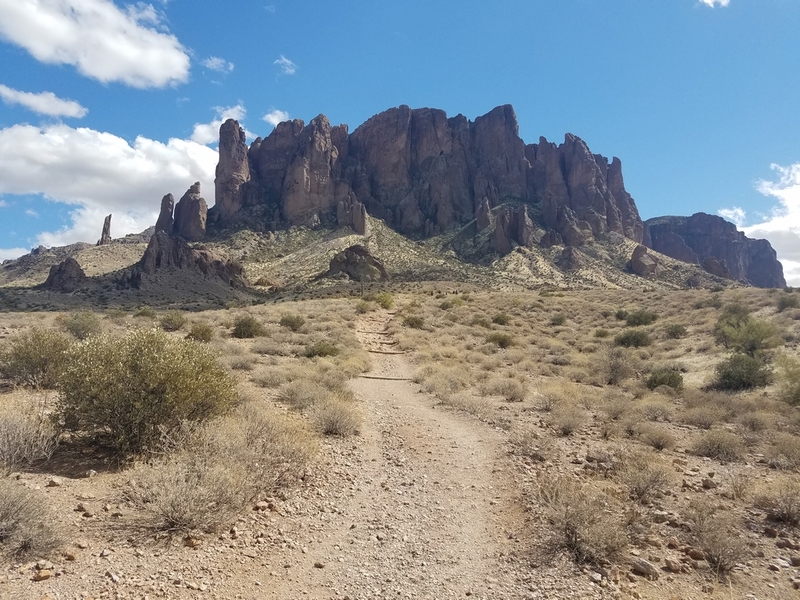 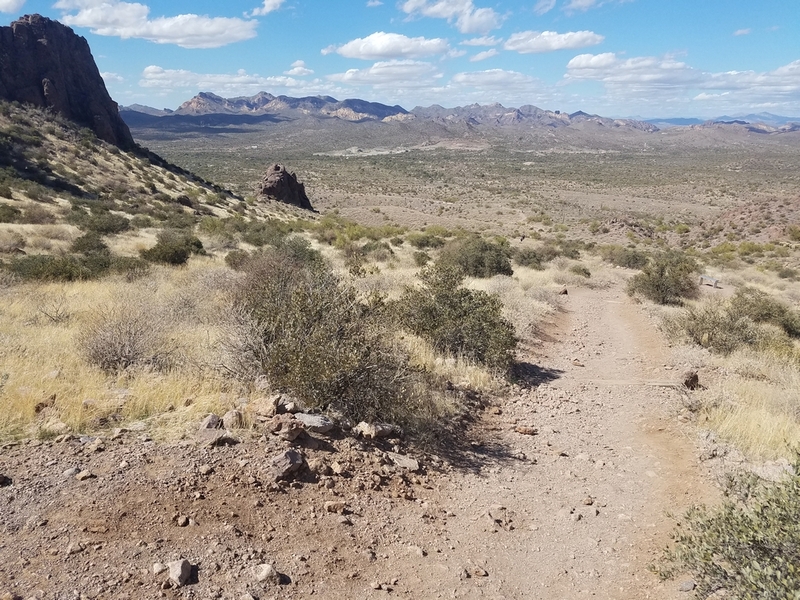 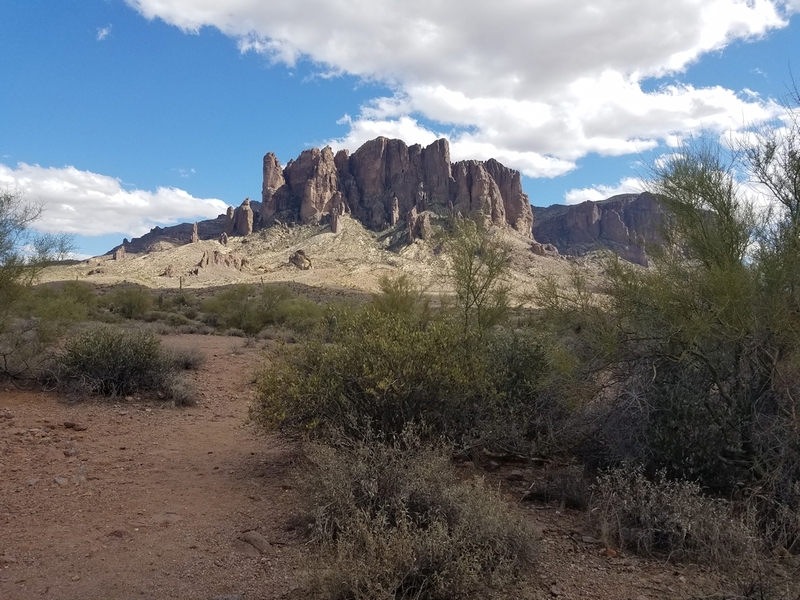 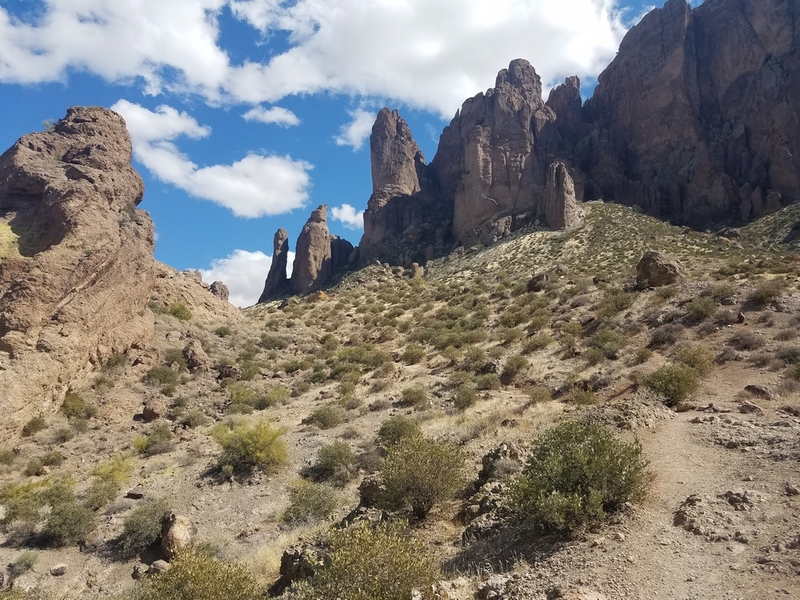 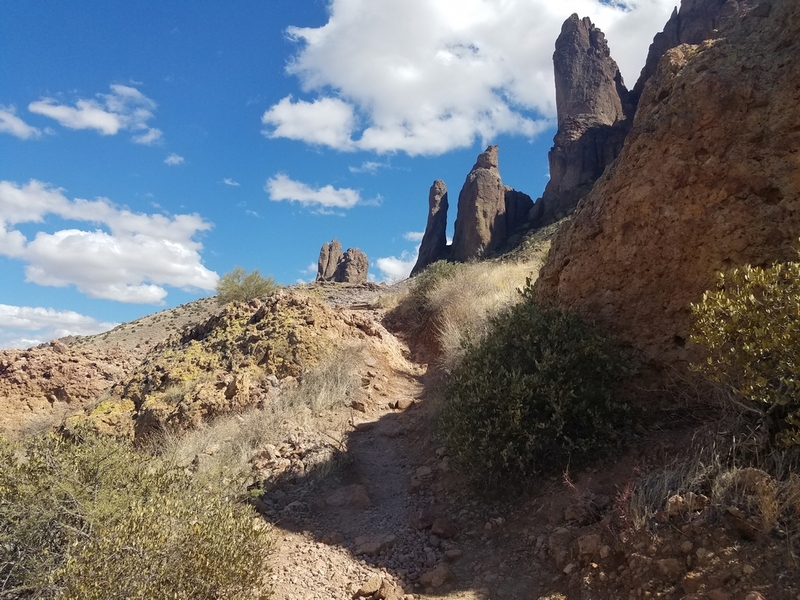 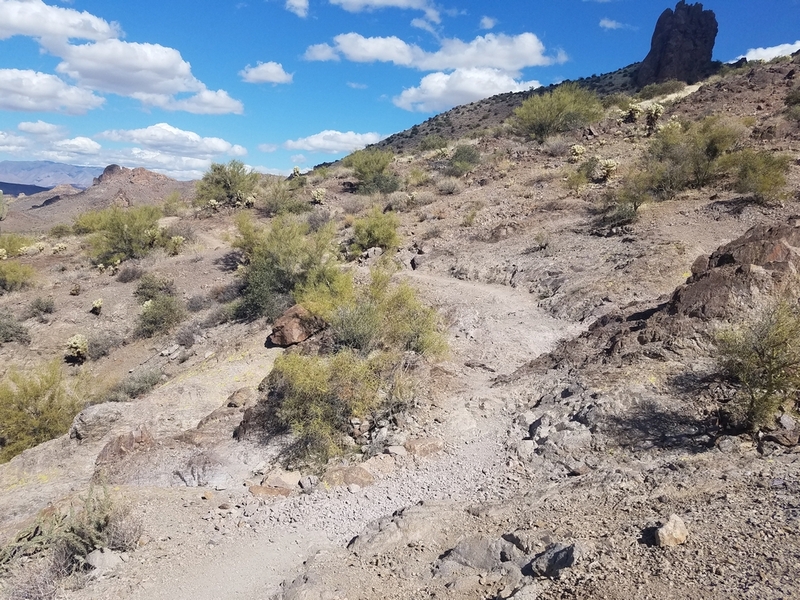 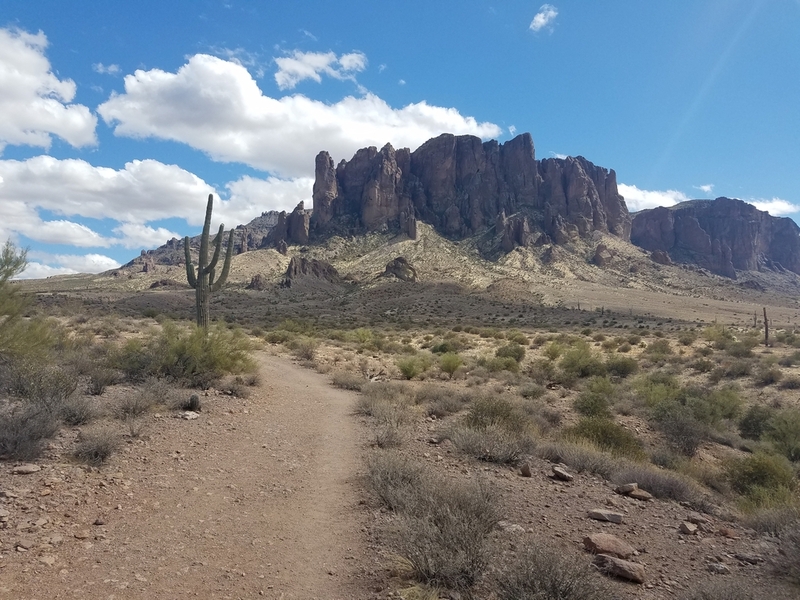 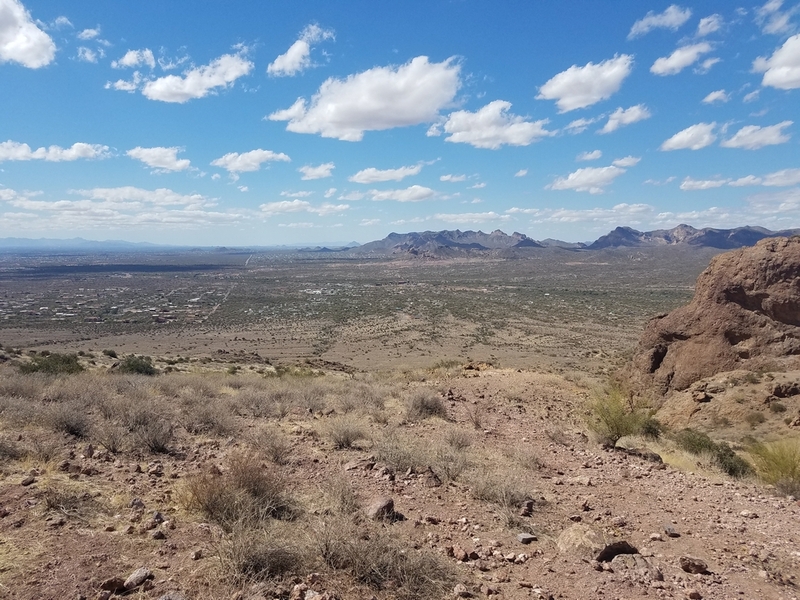 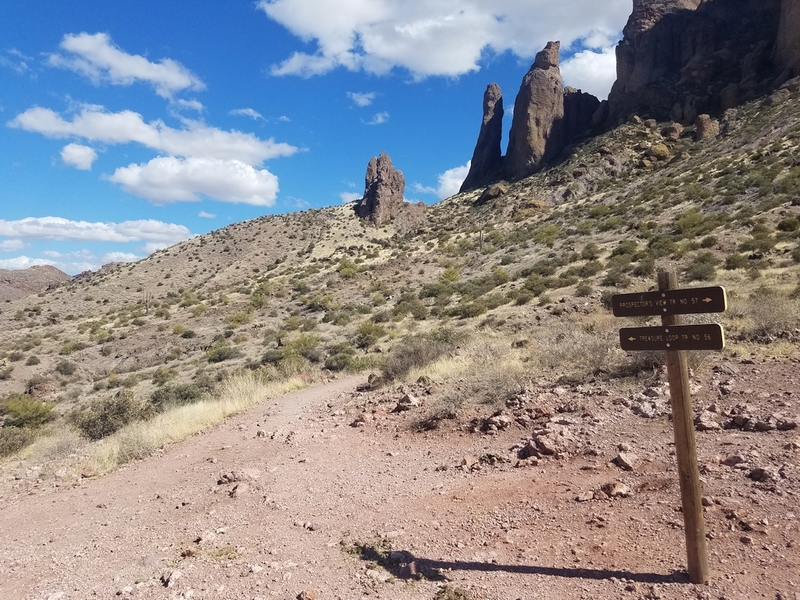 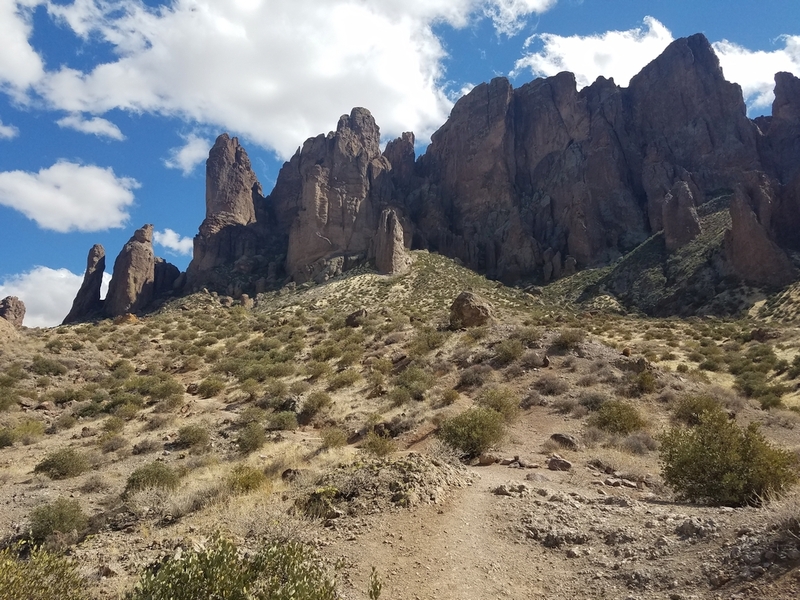 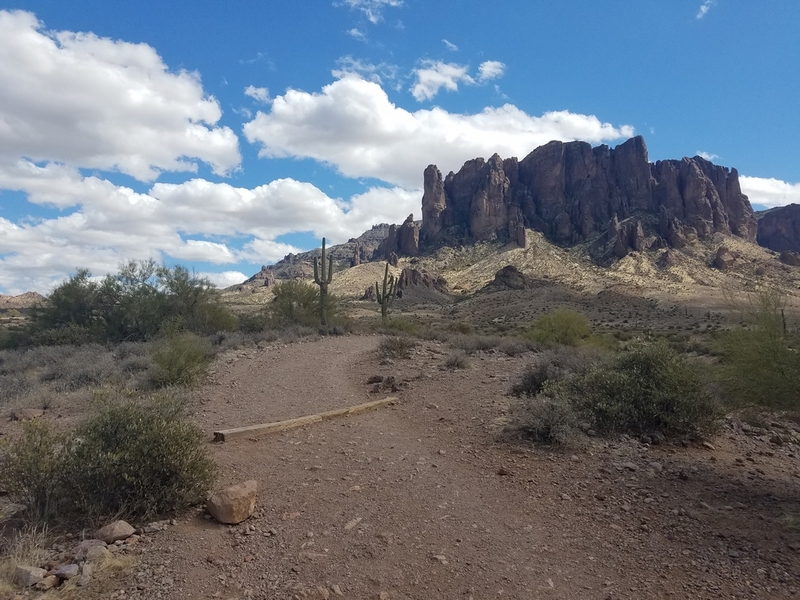 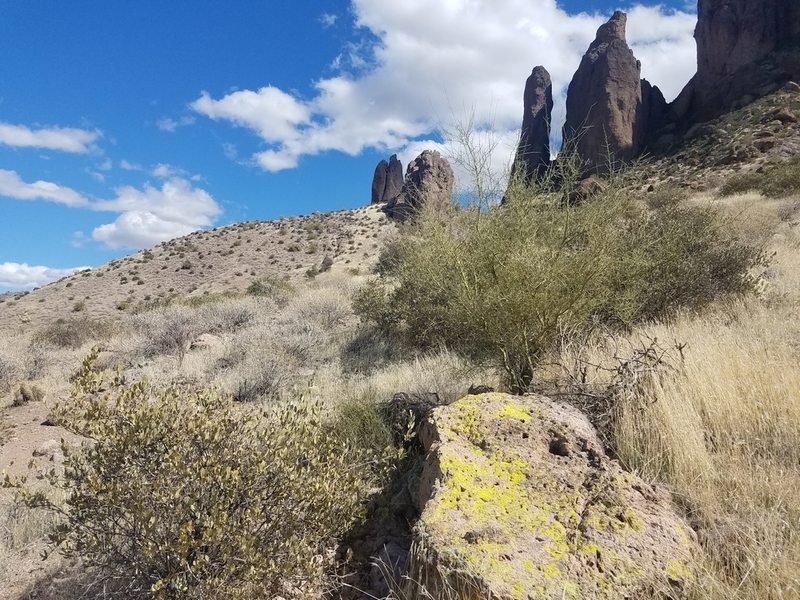 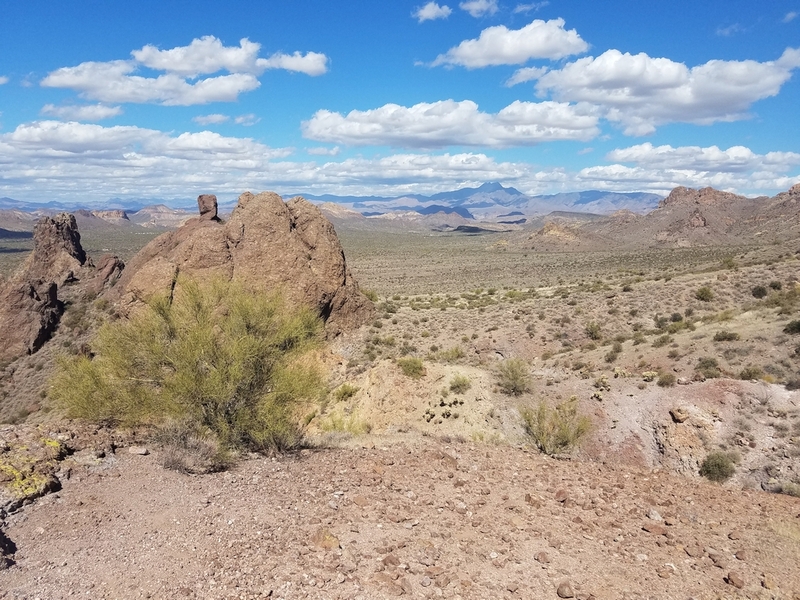 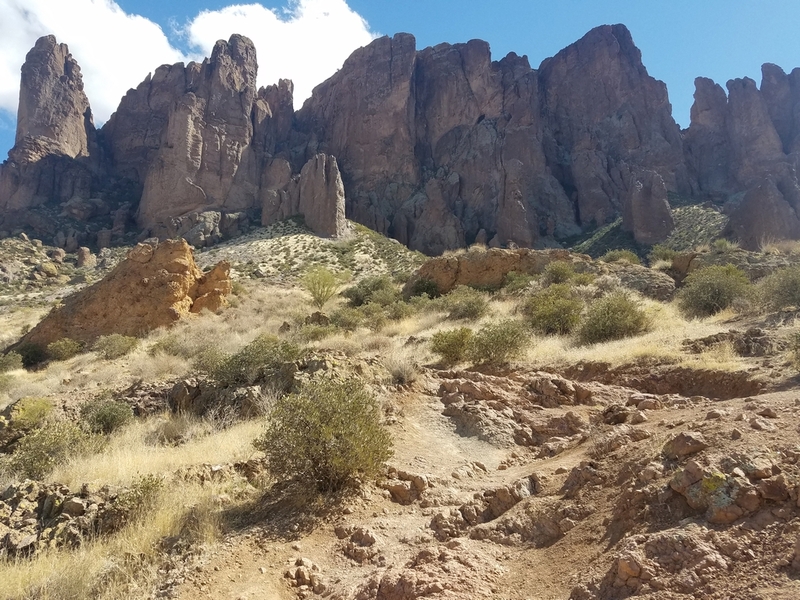 Treasure Loop Trail (#56 on the Lost Dutchman State Park map) is a moderate 2.5 mile long hike which can be completed in about an hour, but if you prefer you can spend several hours exploring some of the parks’s more interesting terrain and geological features. 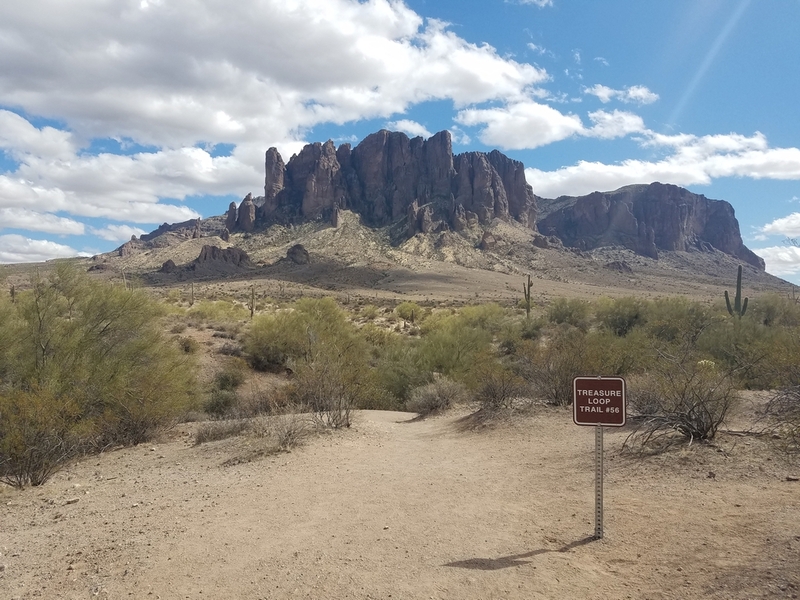 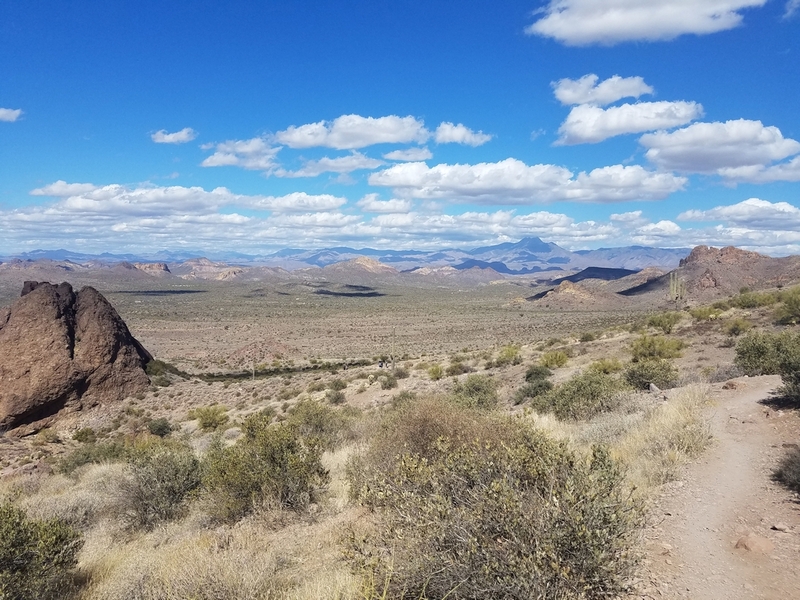 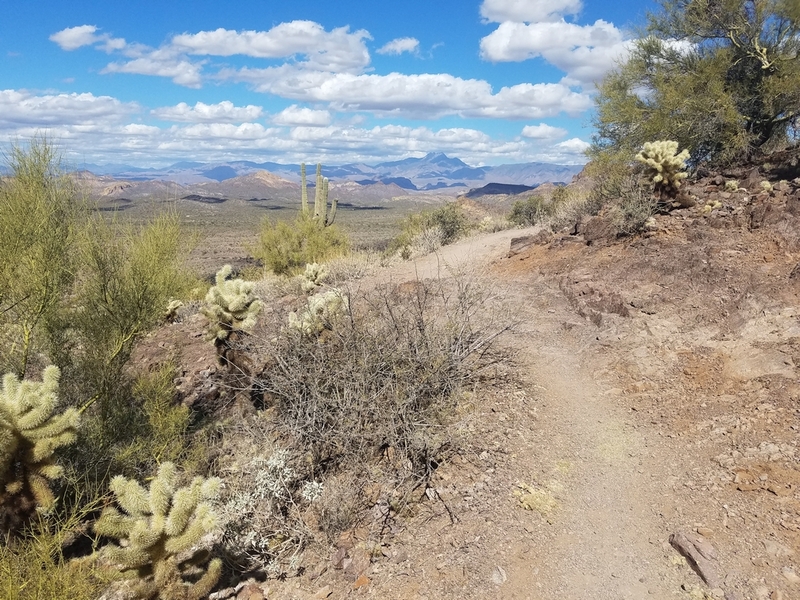 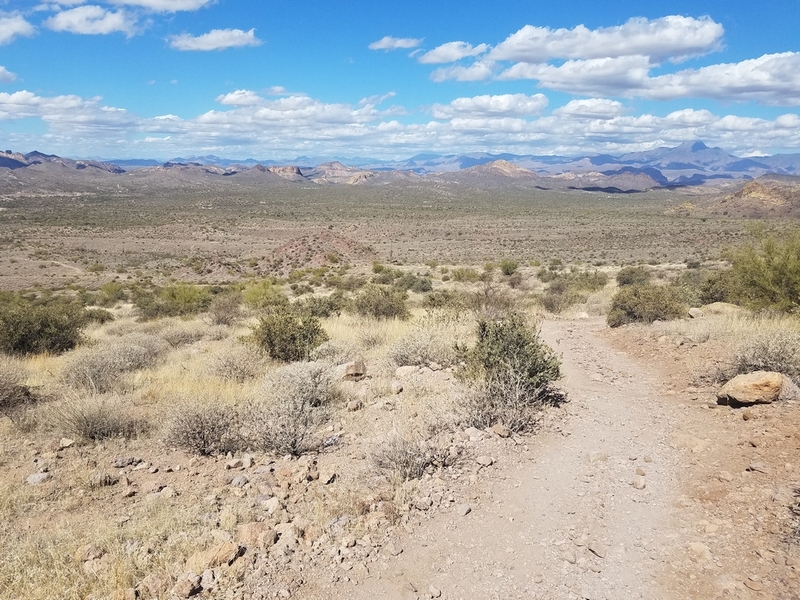 As with most of the desert trails, Treasure Loop Trail is amazing in the spring, particularly after heavy winter rains, due to its abundance of wildflowers. 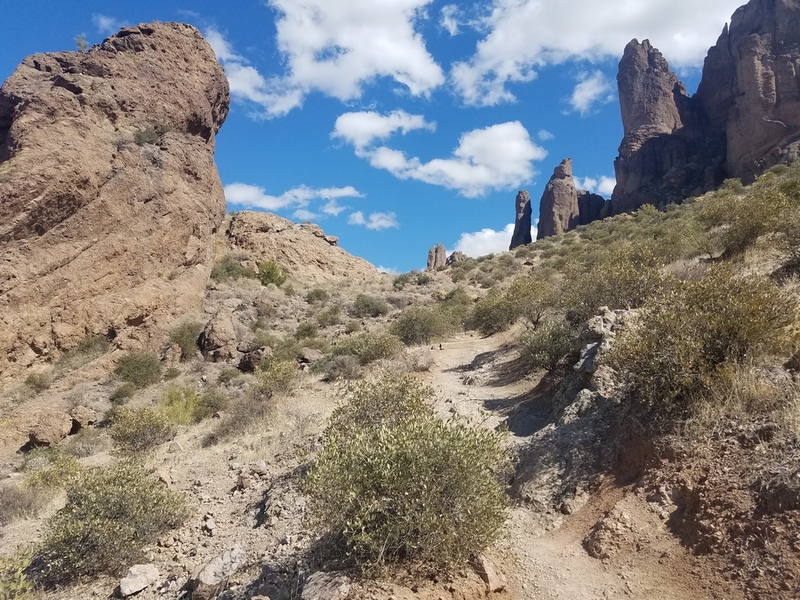 You will find that as you follow this trail, it has many interesting rock formations and there are few benches installed along the trail, if you wish to relax and enjoy the view. 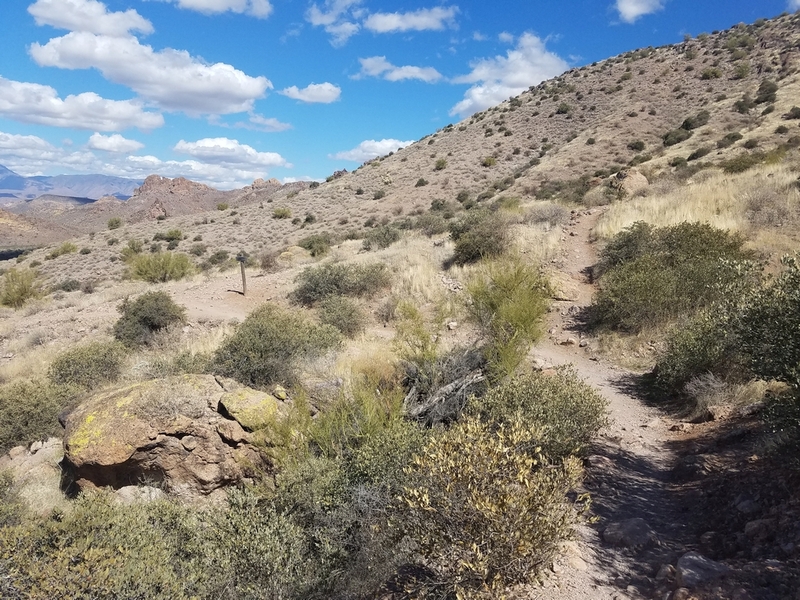 Starting from the Saguaro Day Use area, Treasure Loop Trail rises gradually up the bajada to Jacob’s Crosscut Trail (0.4 miles). 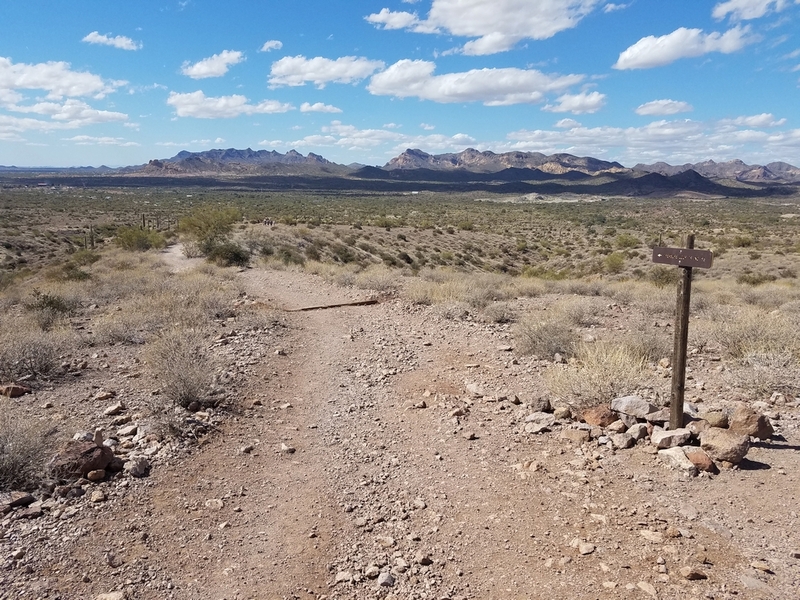 Continue straight on the Treasure Loop Trail and the well-groomed path quickly rises over 400′ to its intersection with the Prospector’s View Trail (1.1 miles). 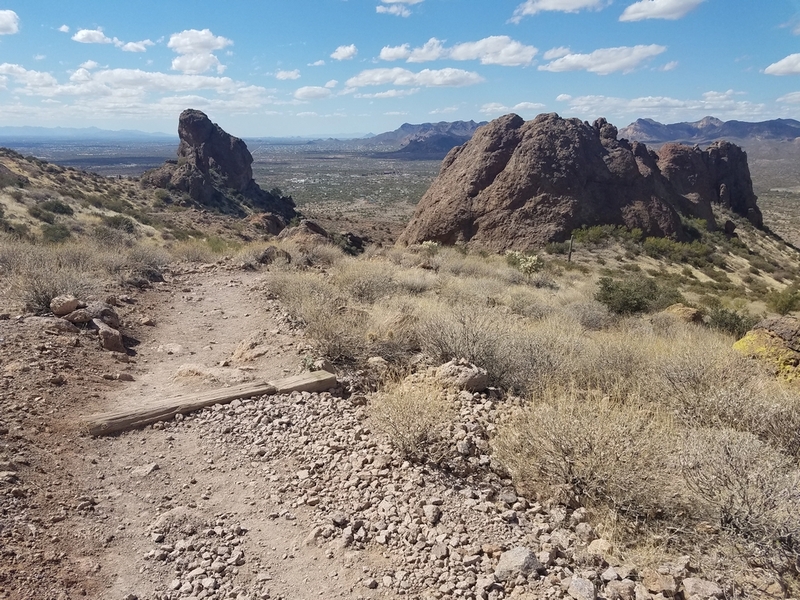 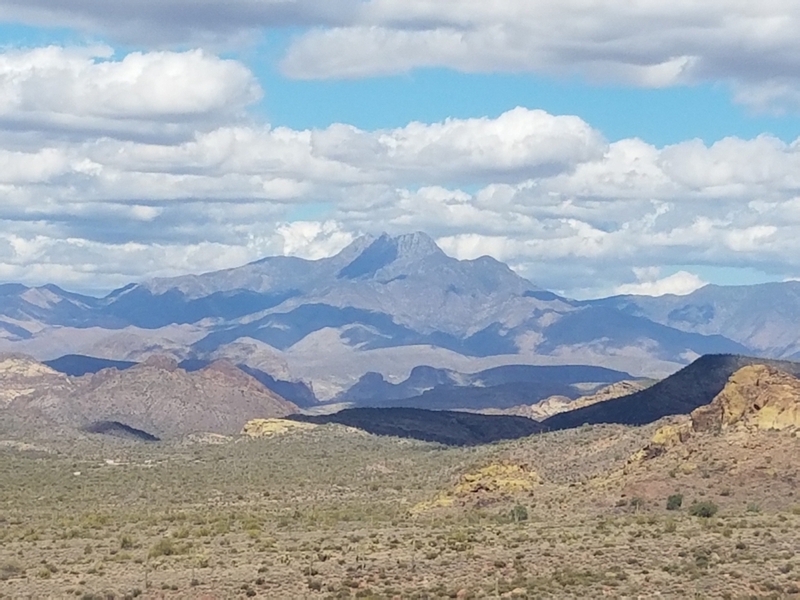 The trail then bends N-NE around Green Boulder, with views of the Four Peaks Wilderness (north) and Camelback Mountain (west) improving as you reach the loop’s crest (1.25 miles). 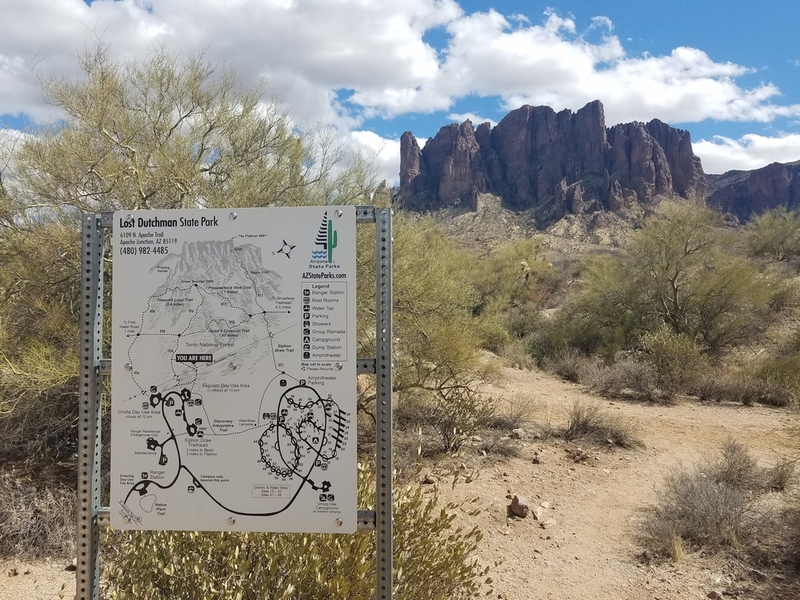 The trail descends down the north side of Lost Dutchman State Park before intersecting with Jacob’s Crosscut Trail again – continue straight (west) to complete the loop. 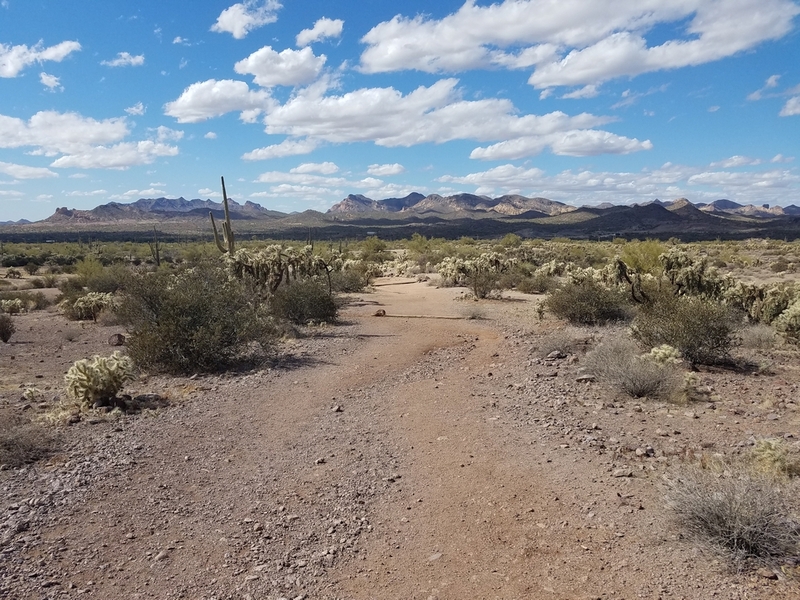 Treasure Loop Trail reaches the Cholla Day Use Area, from where you need to follow a narrow trail or paved road back to the Saguaro Day Use Area and parking lot (2.5 miles).